We’re always looking for qualified individuals to join our training instructor team, however this job isn’t for everyone. There is a great deal of travel included with this position. Our employees embrace the opportunity to see the country, while doing a job they love. 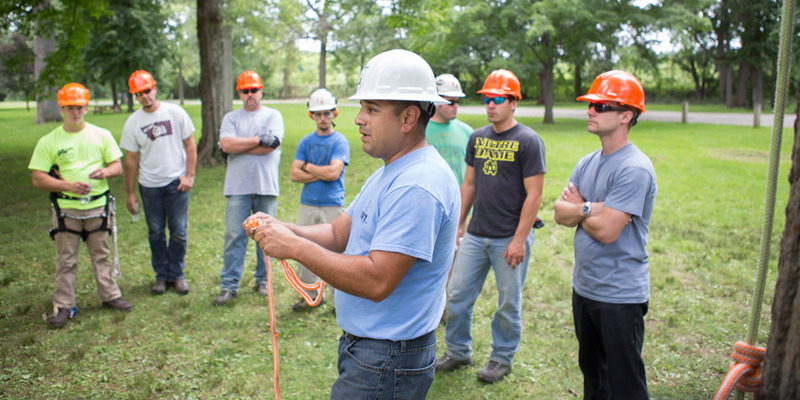 Experience as an arborist, line clearance worker, or tree care worker is required with all of our instructor positions. It should be noted that the work an instructor does is physically demanding. Our classes include demonstrations of proper techniques and safety practices. Ready to send us your application? Check out our available opportunities in our job portal. If you’re interested in applying for a position with us but don’t see the right opportunity available, fill out the form below and send us your information. We’ll reach out to you if an opportunity becomes available that would fit your qualifications.